All winter one of these birds had been roosting in swift box. When he was near back I could only see the cap and thought it was a female blackcap. Now I have more photos its back is quite marked and definitely a male. 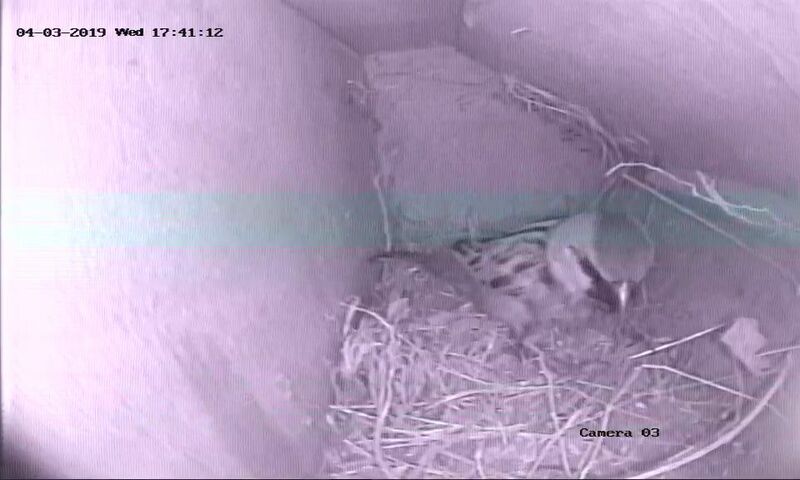 He has now been joined by a female and they are nest building. Are they sparrows? Don't look quite right and I didn't think they would use these boxes? Can anyone help please? There is a general rule on ispot and many other nature recording sites that we do not accept images of birds at the nest, this is to prevent any possible disturbance (which is illegal in some cases). I appreciate that this image may be from a nest cam that does not cause any disturbance and you are not doing anything wrong but it is just a blanket rule applying to any image of birds at the nest. So I will probably remove this post in a while. This rule also applies to bats. However you can put on images of any other wildlife and the community will help to identify it.